Home » Fitness » Best Fitness Shoes: What Do You Really Need? Best Fitness Shoes: What Do You Really Need? -Editor’s note: Once you pick out your shoes, make sure to try our Drago CrossFit Workout! What are the best Crossfit shoes out there? It depends on who you ask really. Here at EveryLastRep, we’ve decided to take on the challenge to find out just what the best Crossfit shoe is. This conversation is almost as heated as a political debate, religious discussion or do you kip or go strict with pull-ups. However, we’re going to stay objective and just deliver the facts. These are the shoes that everyone has, you’re Nike, Adidas, Reebok, etc… Cross-Trainers while not necessarily the best shoe for Crossfit will at least get you started. The problem with these shoes lies in the amount of cushion that sits between your foot and the ground which tends to not allow you to truly feel how you are pressing through your heels. Most of the Crossfit foundational movements (when done properly) press through the heel and if you can’t feel the difference between pressing through the heel and not, then you may want to consider an alternative. However, if you’re just starting Crossfit and it’s day 1 with your first WoD, you’ll be fine. There’s nothing wrong or dangerous about these shoes, so this a great entry level choice. The next step in your shoe evolution looks towards a flatter overall foot plane and minimizing the cushion between your foot and the ground. You’ll see these shoes marketed as “minimal” running shoes. For example New Balance’s version (pictured above) is actually called the “Minimus”. Here at EveryLastRep, we love these shoes for running and for a while they were our de-facto Crossfit shoe. They helped us distribute our weight better but we did feel that they had the tendency to over exert our calf muscles on both runs and footwork heavy lifts (deadlifts, snatches, cleans, etc…) You’re mileage may vary on these. But overall we really liked these shoes and they are a good transition shoe from your traditional gym shoe to either an Inov-8 or a pair of Nanos. One thing that these shoes do like is good support for side to side rotation of the ankle. The sides are rather thin and don’t provide alot of stability. Inov-8 has two real “flavors” of shoes a more minimal (but not as minimal as the above shoes) running shoe and that same shoe but with a more rugged sole and construction for trail running. (Think: Spartan Races, Tough Mudders, etc…). It’s the first breed, the minimal running shoe that tends to show up more in the Crossfit arena. These tend to be a step up from the minimal running shoes that we previously discussed and offer more in terms of support and weight distribution on the foot. This is a great step for the intermediate athlete looking to really get into some kinesthetic awareness (aka: be aware of their body position) when they are performing lifts. Most athletes won’t need to progress farther than this shoe as it will last them most of their Crossfit career. Similar to, but not exactly like the inov-8′s we just discussed comes the Reebok Nano 2.0. These shoes have debatably been named the quintessential Crossfit shoe and if you don’t have a pair, well then you just aren’t cool. There’s nothing like the bright red box that says Reebok Crossfit and the little black tag on the tounge to really pump your ego. However, how do the shoes perform? Remarkably well actually. Not a minimal shoe, but not a gym shoe, the cushioning on the feet gives you stability and awareness of your feet during lifts (light or heavy) and the side support is much better than a minimal shoe. Like the inov-8s above, this shoe will last you most of your Crossfit career. It’s a solid all around shoe that most intermediate and even most advanced athletes will stick with. One bit of coolness factor here, for about $30.00 more than the standard pair, you can design your own. Here’s the thing about Olympic Lifting Shoes (sometimes called “Oly’s”, “Oly Lifters”, etc…): 80% of Crossfit athletes don’t really need them. We might take some flack for that last statement, but we stand by it. So, if you don’t need them, then why would you want them? Well they would be a great second pair of shoes for skillwork or workouts that were Olympic lift intensive. Their design is such that while the foot is mostly flat inside the shoe, the heel is over a platform (some higher end shoes even have wooden panels in the heel) that provide you a stable base to push down and drive through. 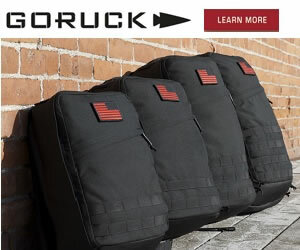 It’s not necessarily a cushion like a running shoe, more like a solid base. Our honest thought? Maybe pick up a second pair of these if you want, but choose one of the other shoes above for a standard, every day WoD shoe. One other note, Rich Froning snatched 300lbs with Nanos on. Not Olypmic lifting shoes. Arnold “the Governator” Schwarzenegger used to lift barefoot, so it’s got to be good right? Well we honestly aren’t brave enough to try it. We’re scared we’ll drop plates on our toes. But the benefit to this is having nothing between you and the floor, this is supposed to lend greater stability, foot position, and stronger drive through the heels. We don’t have any experience here, but feel free to experiment. So what are the best Crossfit shoes out there? To be honest we feel that it depends on your goals and your skill level. New Crossfitt-ers don’t need to spend money on all kinds of shoes, they just need to show up and realize what they’ve been missing in their fitness endeavors. At the same time more intermediate and advanced Crossfit athletes may see slight performance bumps by switching shoes IF those shoes all them to focus on better movement mechanics and standards. We’ll break it down below with our recommendations. Beginners: stick with your gym shoe and when you’re ready, switch to an inov-8 or a pair of Nanos. Advanced Athletes: Same deal, inov-8s or Nanos, but have a pair of Olympic shoes for appropriate situations. Don’t wear them all the time. Wear them as needed. 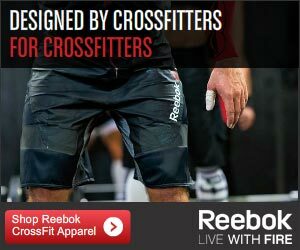 This article has the most common sense I’ve seen in any Crossfit shoe review article. Most articles are trying to sell shoes (and it’s really a kind of a guy thing to dissect the minutiae of shoe detail) but what you’re saying it’s really not that important. Because it’s not. Getting fit is most important. That’s a perfect way to sum it up. Get fit. Let the shoes come as they may. It’s your body and lifestyle changes that are most important! how is the inov-8 for running compared to the minimus shoe? If your looking at minimal shoe to minimal shoe, they are pretty much identical, personally I like the minimus better. If you are doing off-road running or an obstacle race, go with the inov-8 that’s a trail runner minimal shoe it has a thicker sole as I’ve noticed I can feel every rock I step on when I’m using the regular minimus shoe. Hope this helps. Thank you for the answer! there is alot of comments regarding sizing for Inov8 shoes, and it all says different regarding true size, 0,5 up or down. But i cant find any comments regarding the Inov8 XF 210. Do you have any thoughts? Hey Peter, I’ve got no thoughts/experience on that other than to say that I like a tighter fit on my shoes when i’m running. Just my 2 cents. I need to find a store that carries any type of crossfit shoe so that I can try them on . . . having a hard time doing so . . . don’t want to buy some online and then have to dink around returning them if they don’t work. Help? I’m looking at the Nanos in particular . . .